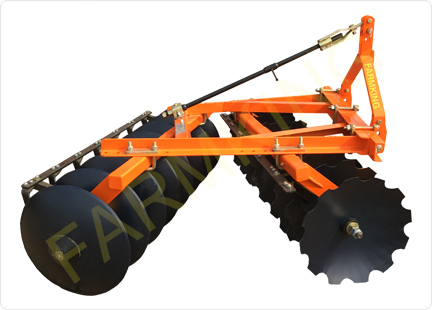 The FARMKING MOUNTED OFFSET DISC HARROW is used in open farm workings for the superficial ploughing, for the shattering of clods, preparation of soil for sowing, burial of organic substances & remains. 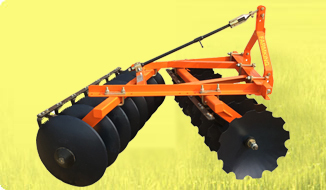 It has low purchasing and utilization costs both for its wide working width, and for its high speed (from 7 to 15 km/hour). Angle can be easily adjustable. 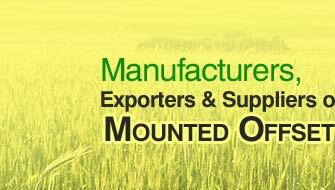 Easily transportable- as it gets easily attached and mounted. 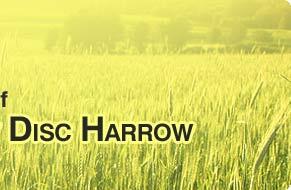 Tillage depth of the harrow is 6 inch. Maintenance is easy but need to be scheduled.